This week, Erin talks about an interview in which mega church pastor and televangelist huckster Joel Osteen explains why he refuses to be alone with women who aren’t his wife - and why that’s a load of nonsense that has nothing to do with Jesus and everything to do with male power. Then, Bryan takes us through the story of Cross Coburn, a 19-year-old gay city councilman from Groves, TX who faces a recall from office after his nudes on Grindr were leaked. 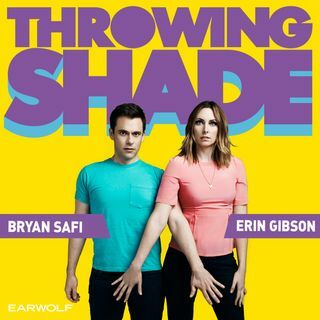 And make sure to check out Deeper ... See More Shade of Shade on Stitcher Premium, where Bryan and Erin interview their favorite friends of the show. For a free month of listening, go to stitcherpremium.com/shade and use promo code ‘SHADE’. This episode is sponsored by Poshmark (code: THROWINGSHADE5), Wildfang (www.wildfang.com code: SHADE), Thoughtfully (www.thoughtfully.com/SHADE code: SHADE), Care/of (www.takecareof.com code: SHADE), and Casper Mattresses (www.casper.com/SHADE code: SHADE).